Welcome to Quogue-Sinclair Fuel Inc.! 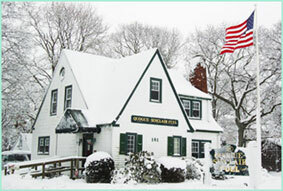 We are Quogue-Sinclair Fuel and, since 1954, we have been at home in the Hamptons. We hope you will be too. "QS" - It doesn't just stand for "Quogue-Sinclair" ... it also stands for "Quality Service." We proudly serve the East End, providing Oilheat and propane fuel for your home, along with round-the-clock emergency service and installation of new equipment. But that's not all! Our Shield Security division provides full-service home monitoring solutions for our seasonal customers, to help protect unattended homes from cold weather damage. Security solutions are also available. We are proud to offer you convenient online services, allowing you to check on your recent deliveries, service history and account balances. If you are not a customer and would like to become one, simply complete our quick and easy New Customer Enrollment form. If you have any questions, don't hesitate to call us at (631) 728-1066 or contact Quogue-Sinclair using our convenient online contact form.